WORK offers range of lug nuts to be use with WORK Wheels and many other brands of after market wheels. WORK lug nuts are standardized to use with any after market wheel with 60 degree conical taper seat. High strength and quality. Available in different styles. 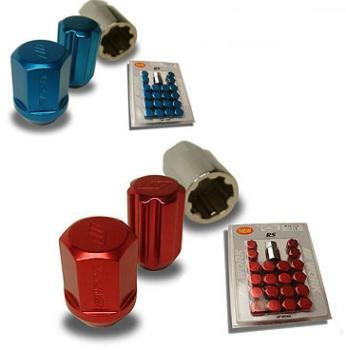 Please click on the photos below for different types of lug nuts we offer. Package Qty. = 20 Nuts Per Pack. All WORK Lug Nuts are available in 12 X 1.25mm and 12 X 1.50mm thread pitch. Always check your vehicle owners manual for proper toque specification for safe vehicle operation.